Being a wedding videographer and at an age myself when a lot of my friends are getting married, I have been to a lot of weddings. 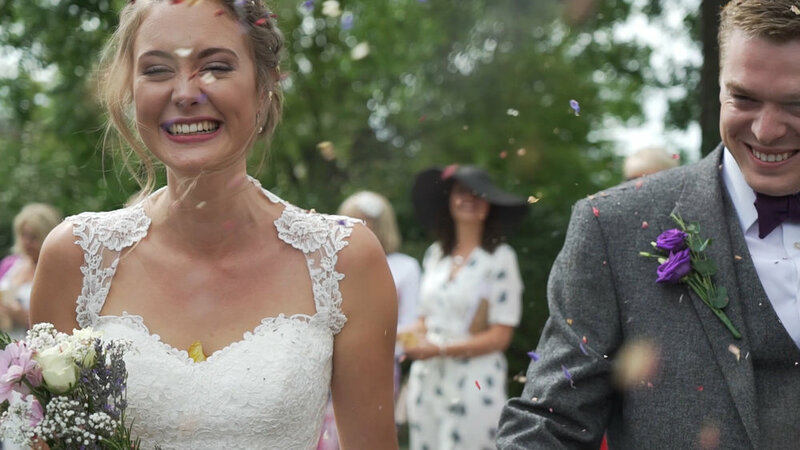 I’ve watched a lot of wedding films, and of course I’ve made a tonne of them too (check out a few here if you haven’t seen). It goes without saying that every wedding I shoot I ensure to capture all the most important parts of your day and all the most important people. But I also make it my mission to maximise all video opportunities in order to create the best possible reflection of your day. 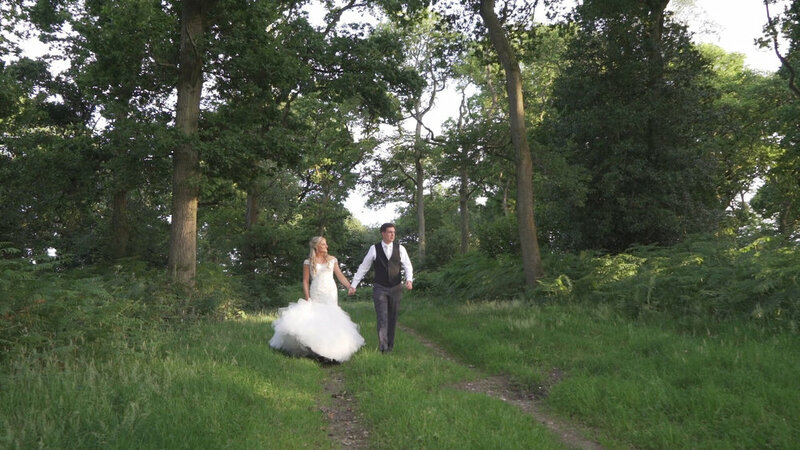 In order for me - or any videographer or photographer - to do this there are 10 must-dos for brides and grooms on their big day…. You’ve spent months, maybe years, planning this day. So milk it for all the enjoyment possible! This means taking every moment available to you to stop, look around at your family and friends enjoying themselves, look into the eyes of your new husband/wife and just take it all in. You might think this isn’t video specific, but the more natural moments of you genuinely enjoying yourselves will not only make the day more memorable for you, but they’ll look awesome on camera when I’m surreptitiously filming you! One moment when I reeeeeally wish brides and grooms did this more is during the first dance. You might have a choreographed routine prepared for your audience or you might be recalling the school-disco-slow-dance moves you learnt in year 7… Either way, try to avoid talking during it, just listen to the music and - despite the fear of sounding cheesy - feel the moment. I find first dances incredibly emotional and intimate on camera and if a couple are talking all the way through theirs, it’s not as meaningful for you and it’s not as impactful to watch back. The more information you can tell me about your day, the better! You might not think I need to know about the fact you’re wearing jewellery borrowed from you grandmother, or that the singer doing a set at your reception is an old friend of the groom, but the more details I know, the more personal I can make your wedding film for you. Tell me everything possible! Any traditions you’re incorporating, gift exchanges, surprises you have planned… Whatever is happening, I want to know so I can make sure that I capture it! Some people exchange cards or letters on the morning of the wedding. By reading these out, the audio can be a beautiful addition to your film and help build the anticipation of the day in your video. Be heartfelt, be open and honest – what does this day mean to you? How will you be feeling? What do you wish for each other? With all the mania of the final preparations this might not seem a priority, but ultimately your wedding is about committing yourselves to each other for the rest of your lives, and hearing some heartfelt words, in the private, relaxed environment of the morning preparations, can be incredibly pertinent for your video and a really nice experience for you both. 4. Use the small confetti! A lot of venues require you to use biodegradable confetti – that means real dried petal confetti. If this is you, be sure to buy the small petal confetti rather than big chunky petals – they fall much nicer and look stunning on camera! Also, brief the person handing it out to tell people to throw it high. There’s nothing quite like having 80 handfuls of petals thrown directly into your face, it’s a much nicer experience to have it flutter around you and over your head, and needless to say looks a lot more impactful in the images. When working out your timings for the morning, always plan to get into your dress earlier than you think. 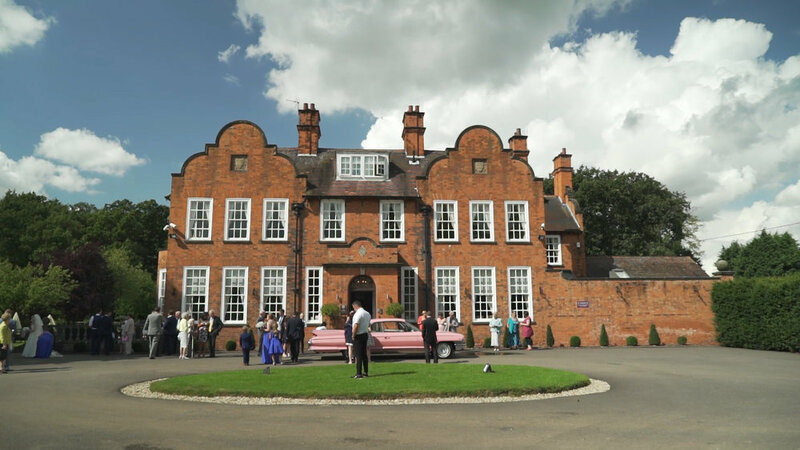 The morning will start very slow and relaxed, but as the ceremony draws nearer, time seems to speed up and you might find that you run out of time to have that relaxed glass of bubbly with your bridesmaids, or have the chance to do a reveal of you in your dress to your mum and dad. I’ve got to shoot off ahead of you to get ready for filming the ceremony but I like to make sure I have some shots of you all ready and enjoying the pre-ceremony butterflies before I have to leave. If you find you have a spare 15 minutes when you’re completely ready (although this is still rather unlikely!) you can use this time to chill out a bit, enjoy yourself and get some snaps with your parents and bridesmaids before you head down the aisle - you’ll be glad that you did. Your photographer will have asked you to pencil in time for portraits of you both, usually immediately after the ceremony. I’ll always work closely with your photographer and wherever they are, I will usually be too! However, during or after your portrait photographs it’s important I have 5-10 minutes with you to get some video-specific shots. When you’re told to smile for a camera or pose in a certain way, whilst the pictures look stunning, the video footage can look very stiff and awkward. Even though I pride myself on my reportage style and always try to get lovely natural shots of the two of you without any direction, I find it has served me well to get a few beautiful portrait shots “in the bag” by pencilling a little time into the schedule. Since I rely on shots of the two of you relatively heavily – e.g. to bookend your film and pepper throughout it at key points (you are the stars after all!) – I feel a lot happier knowing I have an opportunity to get what I need, guaranteed. These are all best case scenarios for me as a videographer (and help out your photographer too!) but of course one thing that’s not said often enough is that ultimately, the day is YOURS to enjoy and you should both do whatever suits you best. If you can’t think of anything worse than having me film you for 10 minutes then say so – it’s your day, you need to enjoy it, be happy and have the best time possible! My video is there to reinforce the amazing memories you have, and serve to maintain them and keep them fresh over the many happy years of marriage ahead. Undoubtedly I’ll work together with you to create the best time capsule possible of the biggest day of your life that you’ll be sure to treasure for years to come. When luxury photographer Roberta Facchini reached out to me looking for a videographer to capture a proposal she was shooting, I knew this was going to be something special. 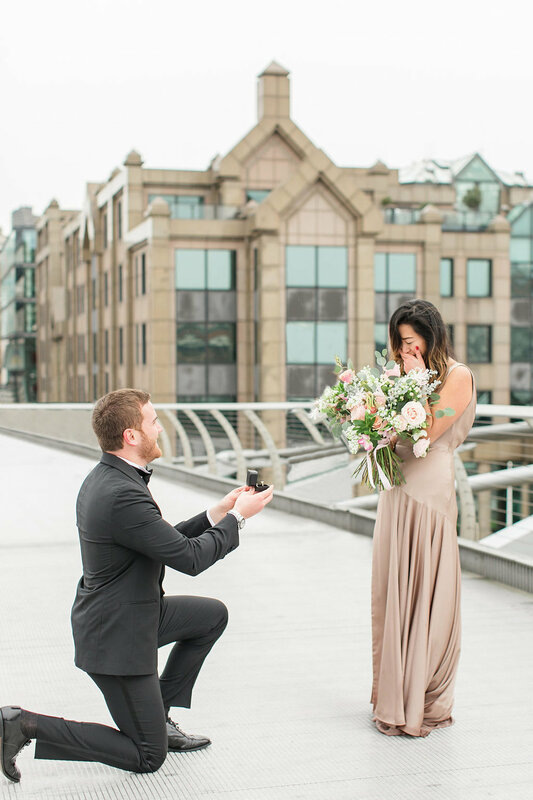 I’ve always wanted to create a proposal film - a growing trend here in the UK, but have never had the opportunity, and Felicia and Massi were *the* perfect couple for me to pop my proposal cherry. 8am at St Paul’s in London we met, rain drizzling from a gloomy grey sky, but instantly the energy we all exuded was palpable. Everyone was cheery despite the early hour; Massi and Felicia were excited and raring to go, and Roberta was smiling from ear to ear (as I now know is her default demeanour!) My ruse was that I was a friend of Roberta’s, there to film a “behind the scenes” of the shoot, so it helped that she and I got on like a house on fire despite the fact we’d only met 10 minutes before! Anna Petterle arrived with a gorgeous bouquet to complete Felicia’s look for the shoot and then what followed was the most effortless, flowing photoshoot I’ve had the pleasure of being a part of. Felicia and Massi posed and danced and chatted, and every single shot I got of them was film-worthy (which is extremely rare as any videographer will know). We casually made our way to the millennium bridge, with Roberta insisting on a portrait of Felicia along the way (so I could surreptitiously mic up Massi ready for the big moment!) Just as Felicia had decided she needed to put her coat back on - she was braving 3 degrees and rain in a breezy silk dress after all - Massi couldn’t bear the anticipation any longer and began reciting a speech (in the name of Valentine’s day, since they were to be spending it apart - that boy had thought of everything). Finally in January when I had some downtime, I was able to spend time re-designing the look and feel of my site, as well as adding all the wonderful weddings I shot last year. I have to say, I didn’t think I’d agonise over which font “spoke my brand” as much as I did… but welcome to the world of design I suppose! Doing it myself has actually been really enjoyable, and as a bit of a control freak I love that I can update whatever I want, when I want. My last website was designed for me, such that I didn’t have the flexibility to try out and visualise a hundred different different ideas and looks before deciding. I’d definitely recommend Squarespace to anyone who’s similar to me in this respect – it’s so easy, and it’s great to be able to play around with everything! Unlike Wix you can change template at any time as well, without losing all your content and page structures. When doing research about what sort of website I wanted I came across the below quote (featured on my homepage) which I absolutely loved. I feel very strongly about the importance of having a video of your wedding, and I always struggle to do justice in explaining just how valuable I know you'll find it to be in the years to come. This quote struck a chord with me, because although no-one wants to think about "life-after-wedding" whilst they're planning, I know from personal experience that post-wedding you realise just how incredibly valuable you hold the memory of every single moment you experienced from the day... and what a better way to remember all those beautiful moments than with video.